Join us in Los Angeles, California for the next regional installment of The Secret Cup for 2016, and another VACATION CUP! These vacation style of events have become some of our very best, and this should be no different as we have purposefully timed this one right back where we began the regional events, in sunny southern California. The city of Los Angeles is an amazing one, but for Halloween it really turns up. The amusement parks all roll out their Halloween scare package, Fright Fest - Halloween Haunt - Scary Farm and the rest. Plus we have the West Hollywood Halloween Carnival that boast around 400,00 ATTENDEES and it is 100% FREE TO ATTEND! We're going going, back back, to Cali. Come and join the FUN! We have intake scheduled for the week before the awards like usual on October 30th Sunday - Competitors turn in their samples this day and judges get back their entries the same day if we can manage it. They have the full week with their judges kit and the city to explore on their own time. We will announce a couple collaborations with some of the weekly SESH events but nothing too much during the week. 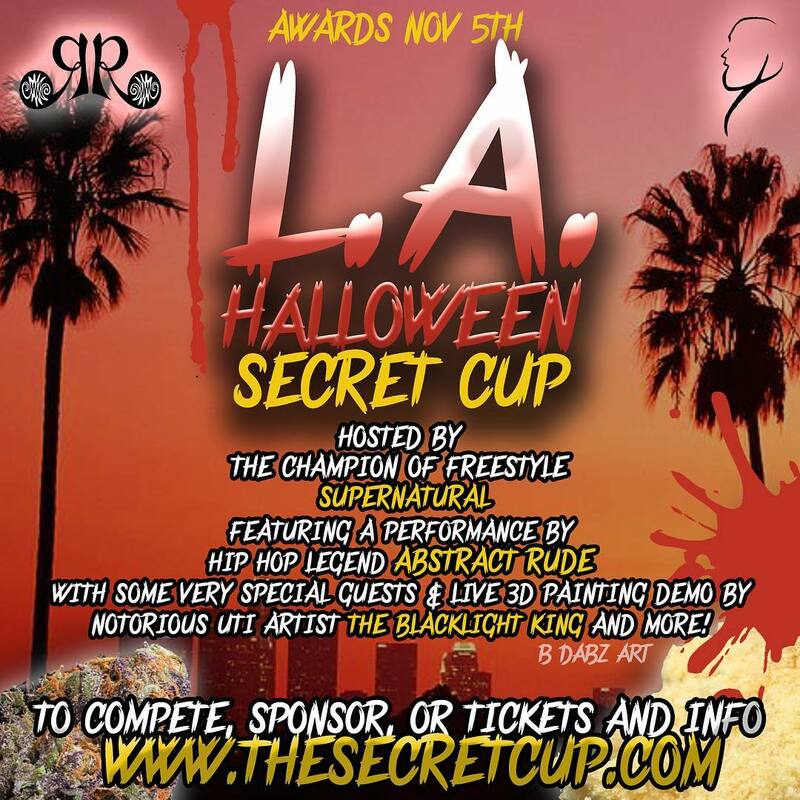 On the weekend, November 5th we will have the award show for the public with a Halloween Theme, come dressed up if you like even though its after Halloween! The winners will be announced then so you will still have the actual Halloween date FREE for your families and for you to celebrate however you want. Over 40 hash makers can compete with their best concentrates, from all over the world, to see if they have what it takes to win the golden torch and take the next step to win the belt, in the most legitimate cannabis competition around.